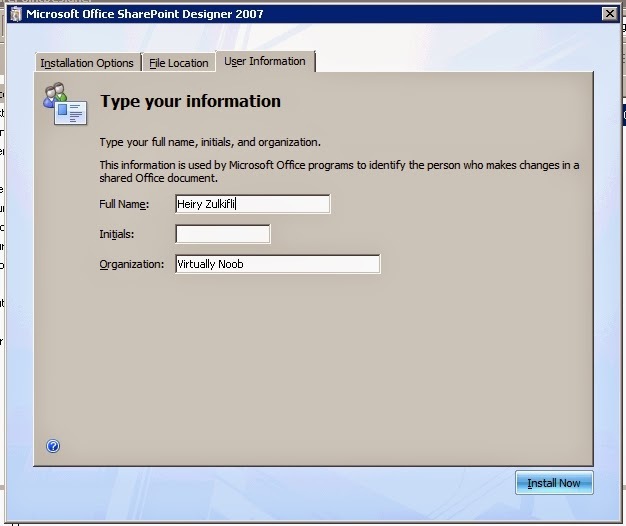 Microsoft has removed a feature from Microsoft Office 2010 which quite oftenly being used by end users - that is Microsoft Office Document Imaging ( MODI ). 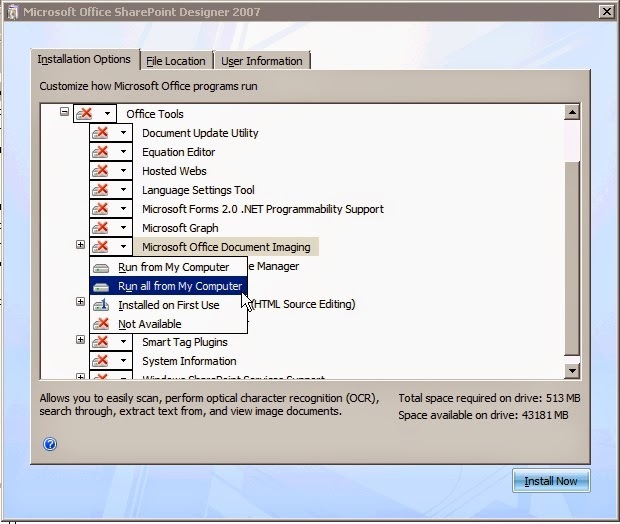 Therefore, as a workaround, MODI can be installed in 2 ways - MDI to TIFF Converter or Installing MODI from SharePoint Designer 2007. 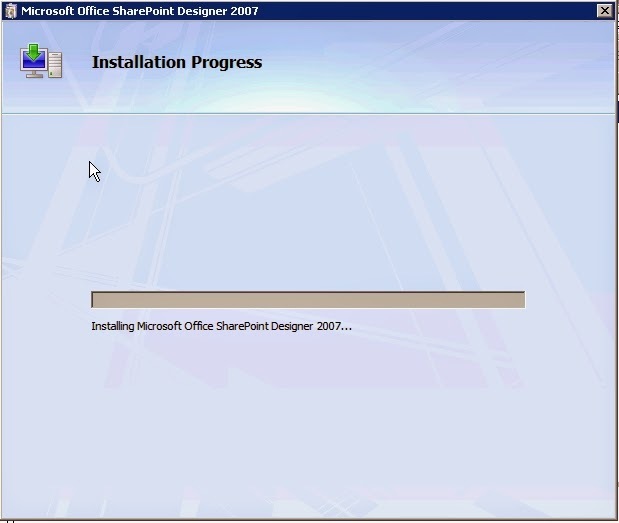 For this purpose, we will focussing on getting MODI installed from SharePoint Designer 2007. 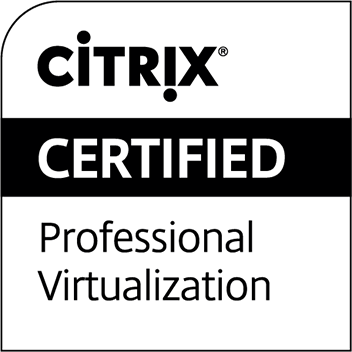 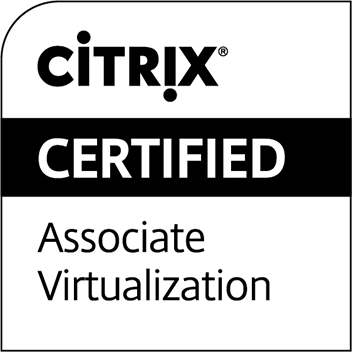 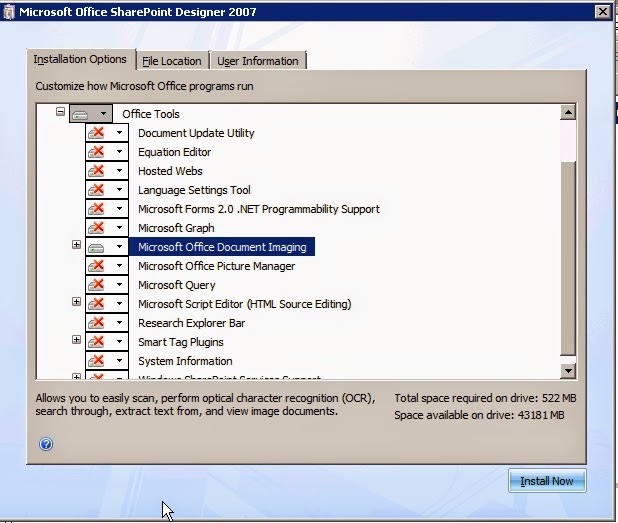 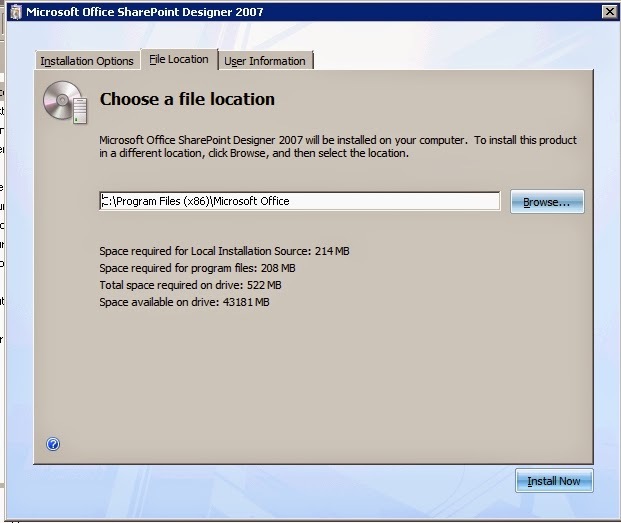 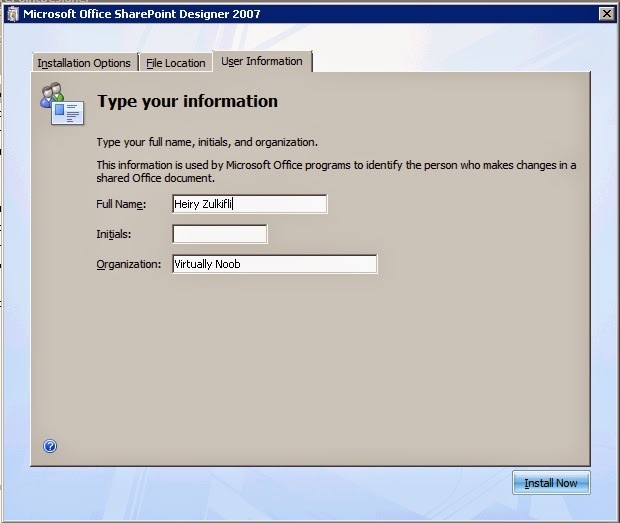 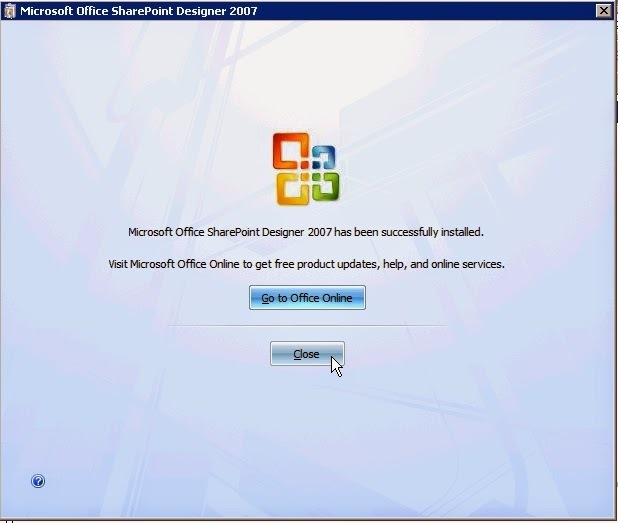 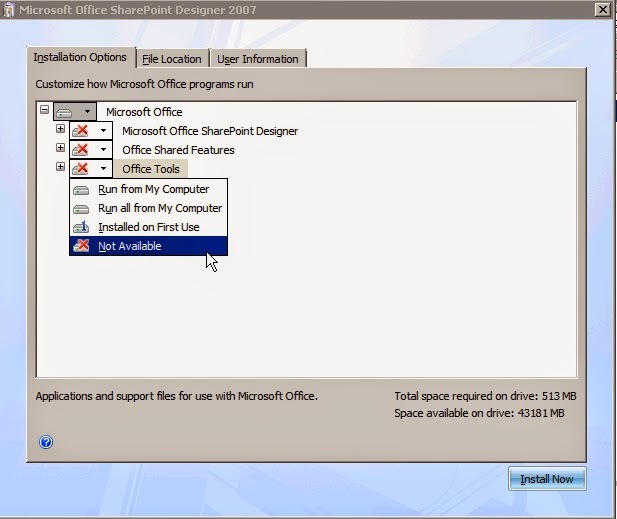 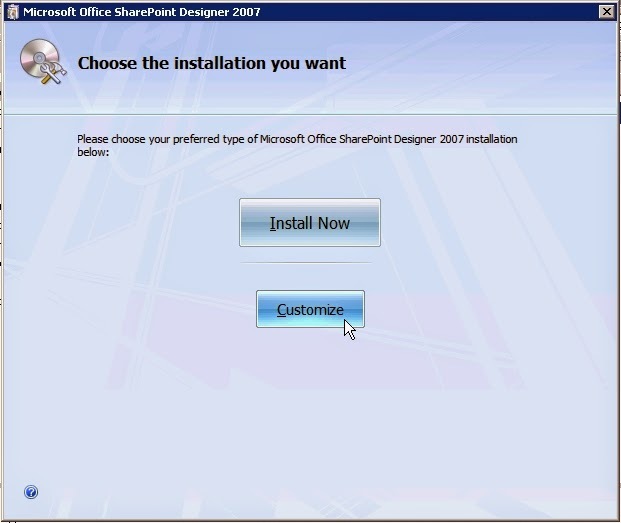 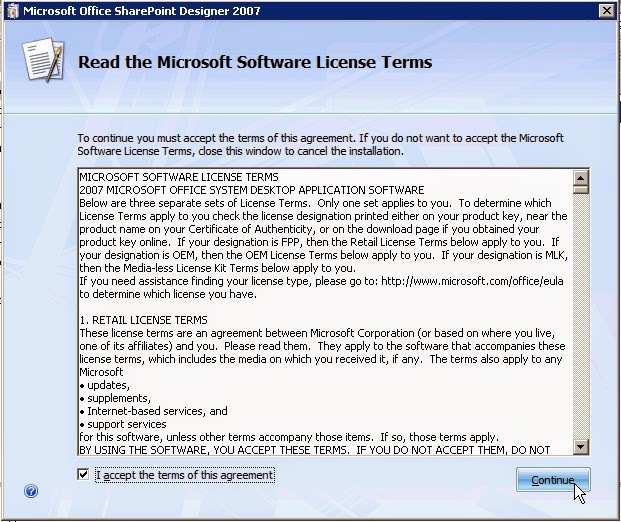 Installing Microsoft Office Document Imaging ( MODI ) from SharePoint Designer 2007. 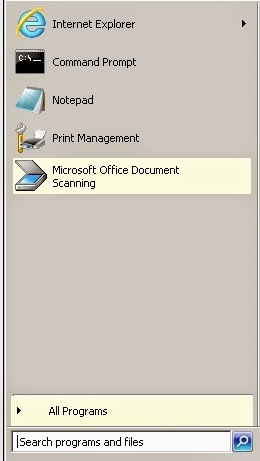 Put everything as Not Available, at first.